When was the last time you did a home insurance policy checkup? This important update ensures that you have the adequate coverage to cover thefts, loss or damages, and also verifies that you aren’t paying for coverage you no longer need. You should evaluate your home insurance coverage at least once a year. Consider the questions below to prepare for your next home insurance checkup. Did you renovate or remodel your home? Any changes to your home’s structure or size could affect the amount of insurance you pay. Even turning a basement into a third bedroom or adding a deck can increase the amount of insurance you need. Did you install a burglar alarm? An alarm system may lower your insurance costs and help you save money. Have you added new valuables or collectibles to your home’s inventory? Your current insurance policy might not cover your newly-inherited jewelry or your new art collection. Find out if you need a specialty policy or endorsement to cover these valuables. Do you have replacement value or actual cash value coverage? Replacement value describes the amount of money you would need to replace your home or its contents with materials or goods of similar quality to what you have now. Actual cash value describes the amount of money you would need to repair your home or replace contents after calculating depreciation. Did you start a home-based business? Working from home in any capacity means you may need extra insurance. Share the details of your business with your insurance agent and verify that your business ventures are covered. Can you afford the deductible? The deductible on your insurance policy affects the annual premium costs. Calculate how much deductible you can comfortably afford and raise or lower it on your insurance policy. How frequently do you pay premiums? Switching to an annual payment, if that’s an option, lowers your annual costs. How much coverage do you really need? Many homeowners overestimate or underestimate the value of their home and its contents. 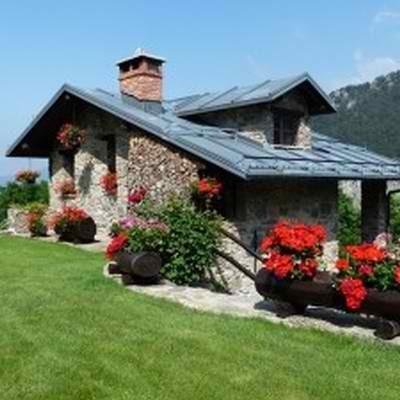 Use your property assessment to figure the value of your home, and remember to include outbuildings. A home inventory will give you an accurate value of your home’s contents and help you purchase the right amount of coverage. Tracy-Driscoll would love to help you check and review your home insurance coverage. Give us at call at 860-589-3434 to speak with one of our insurance professionals. Protecting how your work, live and play. We focus our resources on helping our communities thrive – from individuals insuring their first car to business owners delivering dependable healthcare to their employees. We support our communities with scholarships, support programs, and donations that help us all do better.